Is anything missing in your child's wardrobe? If yes, come here and buy with a big sale. 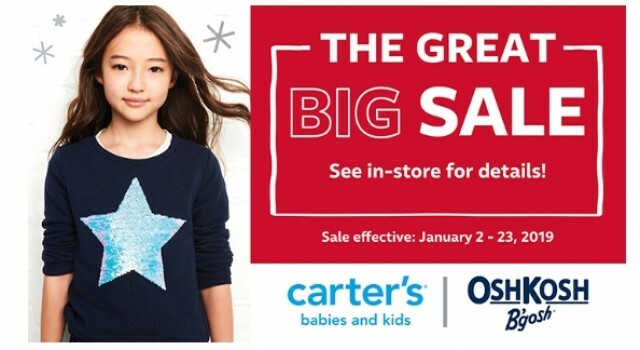 Carter's | OshKosh is a specialty retailer of baby and children’s clothing, sleepwear and accessories at everyday value pricing throughout Canada. So come here and spend some money for your child :-).